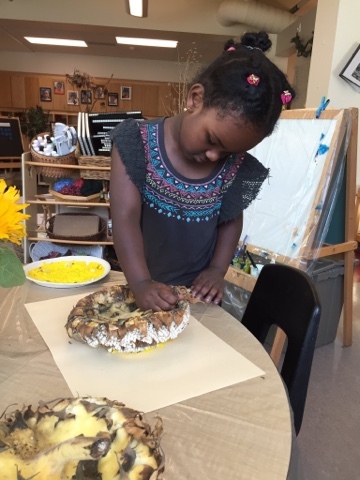 Sunflowers are such a fun, vibrant flower to explore as we begin to notice the seasons changing and autumn arrive. 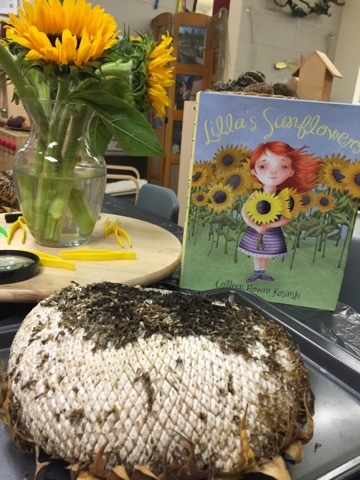 We explored a wonderful text called "Lilla's Sunflowers" last week that discusses how many sunflowers are planted all over the country when a young girl shares seeds with her military father. 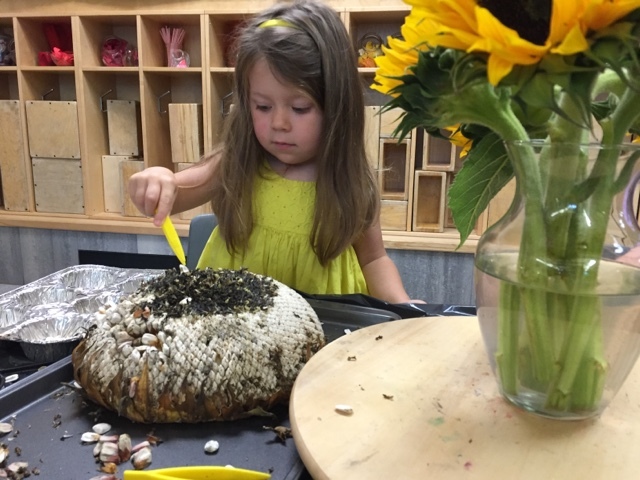 This text is beautifully written with easy to understand narrative and captivating illustrations. 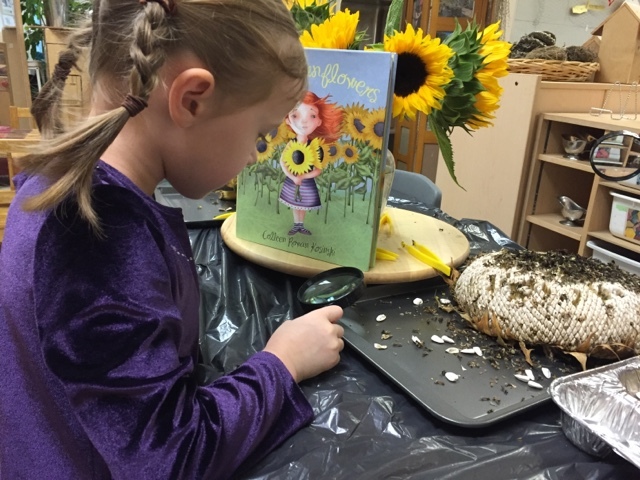 In order to help our children make connections to the book, we offered real sunflowers and dried sunflowers at a table along with the book and tools like tweezers, sorting trays and magnifying glasses. 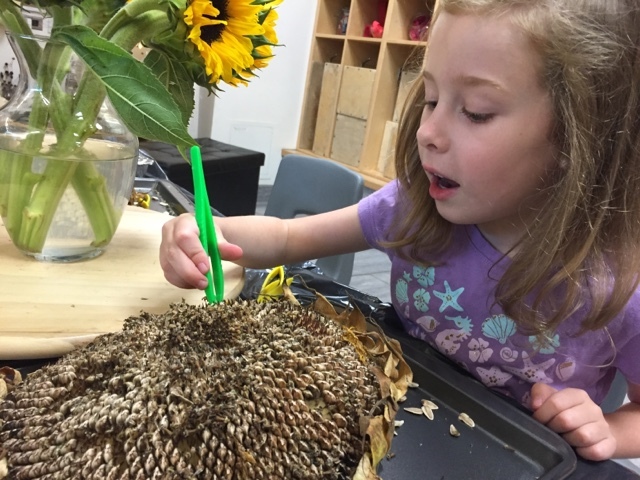 The children were encouraged to visit the centre and use the tools to examine the sunflowers up close and then pick out the seeds. 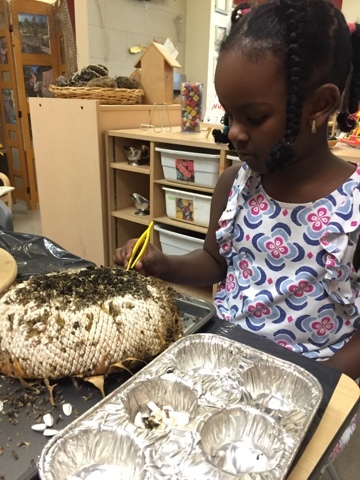 This activity required detailed fine motor work and helped strengthen children's patience as well as their pincher grasp. 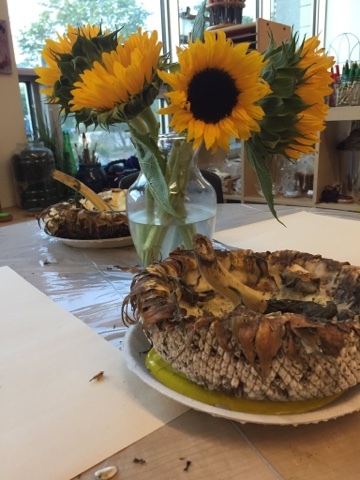 The next day we offered the large dried sunflowers as tools for making prints. 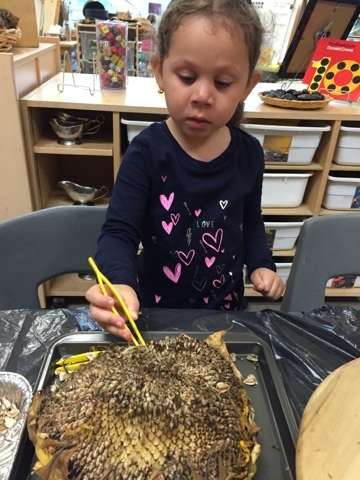 The children were interested in how the stems acted as handles and kept their hands clean during the activity. 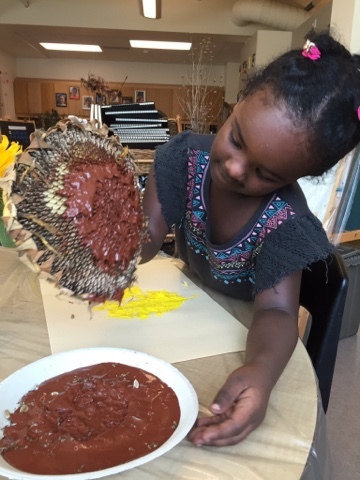 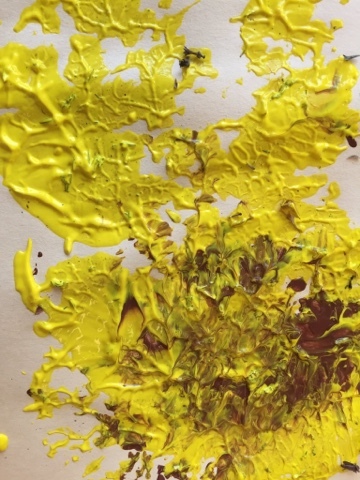 We pressed the sunflowers into paint and made a beautiful print!